For FRP materials and industrial design materials (prototyping materials) Kuni Chemical has your solutions. Kuni Chemical offers a comprehensive array of materials, including fiber-reinforced plastic (FRP), prototyping materials (urethane, epoxy, silicone, etc. ), paints, and adhesives. 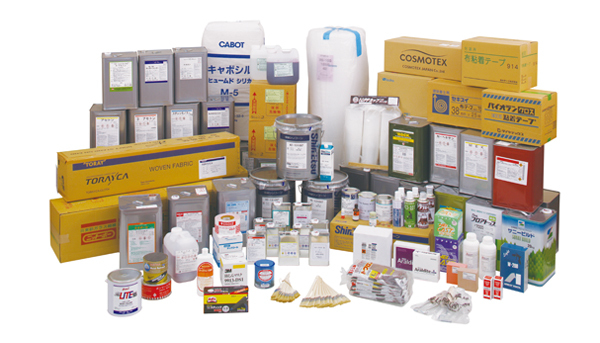 Kuni Chemical also supports customer needs with diverse solutions in many fields, from materials to finishing products, packing (shipping) materials, and more.